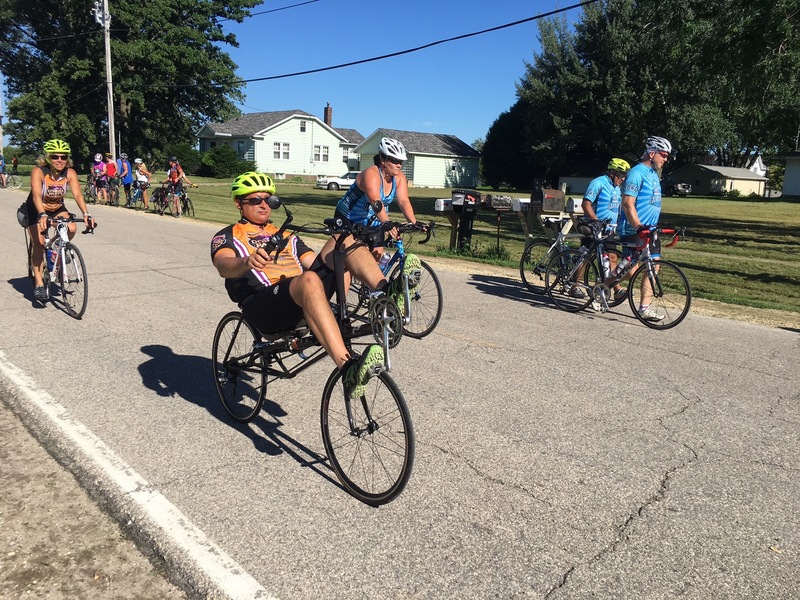 RAGBRAI July 27 Update: It’s Too Hard! 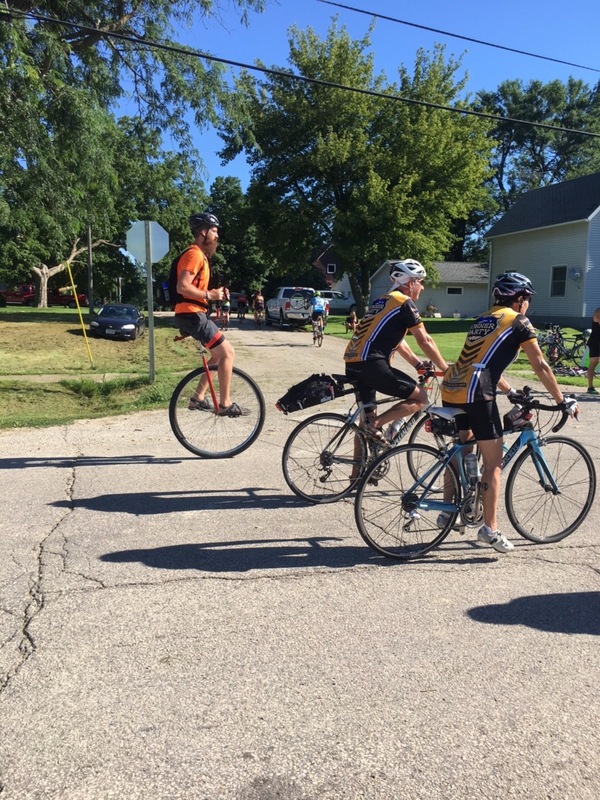 Today we biked 55 miles from Charles City to Cresco in northeastern Iowa under bright, sunny skies. Riders who did not apply enough sunscreen during the day will surely experience sunburn tomorrow. Three Observations. First, as I was standing in line at the porta-potties this afternoon, the woman in front of me looked exhausted. I engaged her in conversation. Iowa is rather deceptive. The image of endless cornfields and completely flat prairies may come from people who only drive I-80 on their way to one coast or the other. 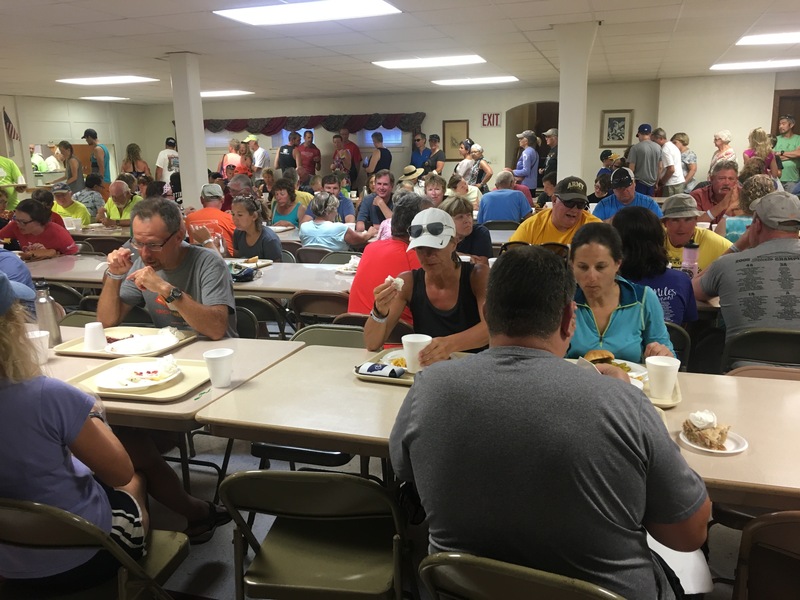 But there are lots of hills, and my new friend will be very surprised when the hills become more frequent and steeper as we approach the Mississippi River on Friday and Saturday. I invited our riders to pay special attention to the trees and fields of corn and soybeans as they ride. 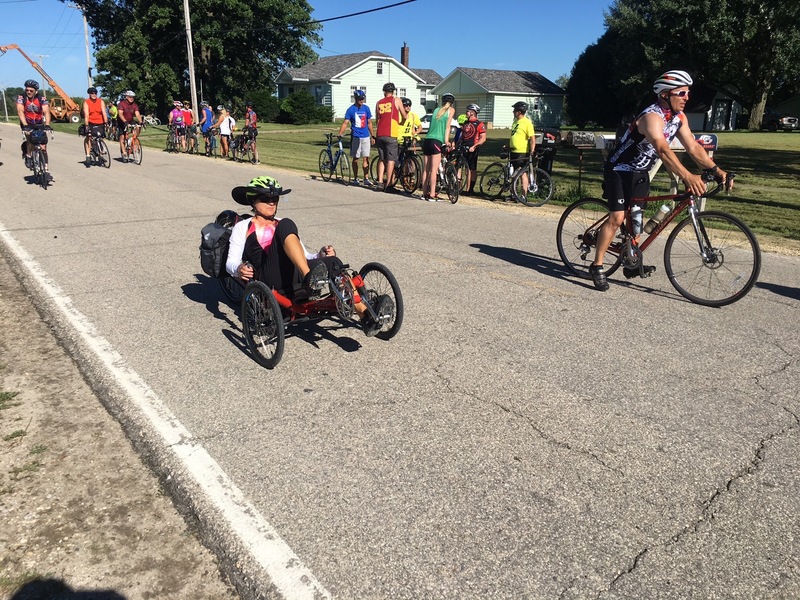 We were especially blessed when a bald eagle flew circles around the downtown area of Lawler for five minutes this afternoon, which was one of our RAGBRAI stops. 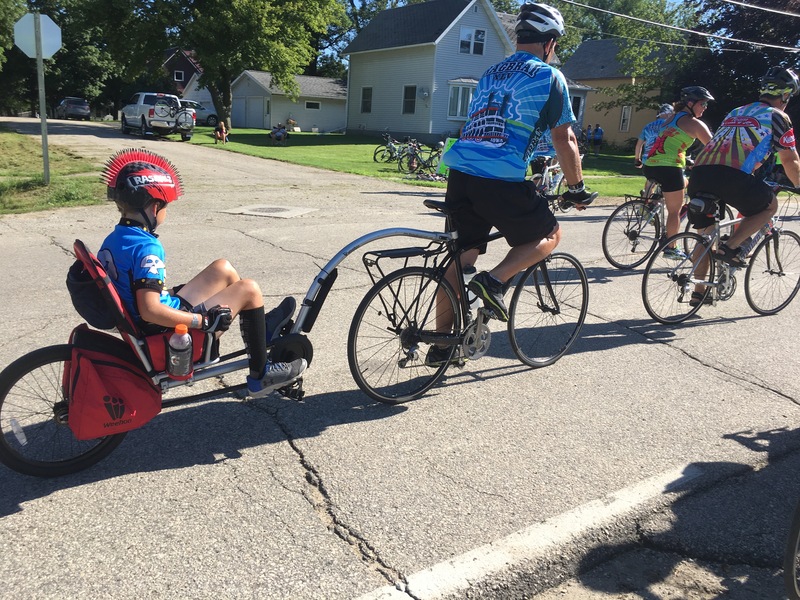 What delights me is the creativity of bikes and seeing participants of all ages, from babies, to children, to teens, to people in their 90’s giving glory to God by exercising their bodies. 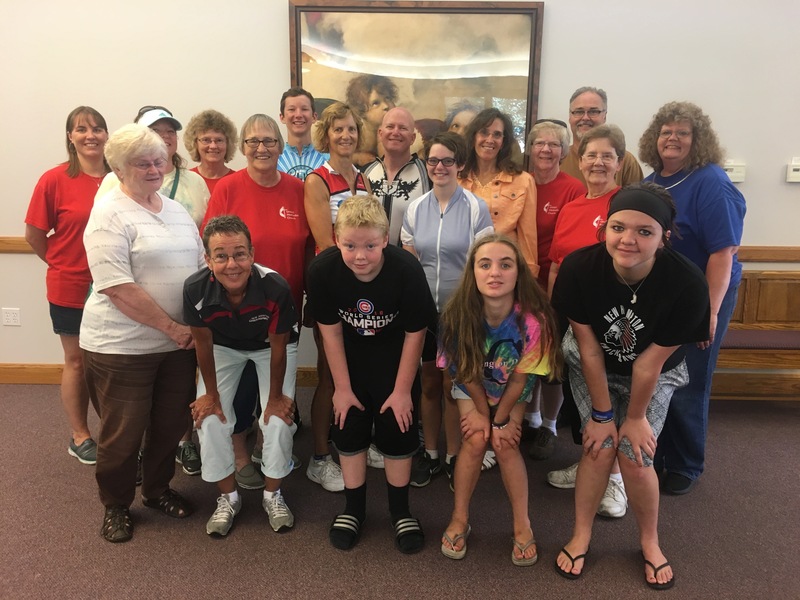 Kudos to First UMC in New Hampton, which served lunch, and Cresco UMC, which had a fabulous sloppy joe dinner with pie. Tomorrow the hills start in earnest. But’s not too hard! You can do it! WOW! Way to go Bishop Laurie! Thank you for loving Iowa and thereby us! You are amazing! Like your posts. If the lady thought northern Iowa was hilly she shouldn’t ever come to southern Iowa.